After an extremely challenging start to this year and having nurtured some pretty bad habits as a means of dealing with it all, I’ve found myself a victim of mid-section blow-out and general blergh-ness (If you only click one link in this post, make it that one. Hilarious!). What better way to get back to being better than with some new exercise gear? As with any new pattern, I started with some recon over at Pattern Review. Kbenco has written one of the most informative reviews I’ve ever read, Katherine wrote fabulously about them too and of course, Melissa has sewn so many of these I can hardly cry for lack of inspiration. This is what a pair of leggings look like when they are 21cm too long for you. But hey, this is a standard adjustment for me. About the only time I don’t have to take pants up is if they began life as pedal pushers. I chose to use Melissa’s way of sewing in an elastic waistband – the pattern instructions do the old-fashioned ‘make a casing and thread your elastic through’ way. Yeah – no thanks, that never looks good! At first I made the elastic waaaaay too tight (like, bayonet tight!) so after unpicking that and making it a little bigger, I was good to go. Also, somewhere between the basting for fit and the actual sewing, I added in a turquoise band at the curved seam at the hips. Once finished, I quite literally pulled them on and went for a run. I will absolutely be making more of these in the future! Not being in possession of a coverstitch machine or an overlocker, I was worried about the seams being either irritating or uncomfortable. I’ve been exercising in these 4+ times a week for nearly a month now (yeah, I’m that far behind documenting finished makes! ), and no dramas so far – but the fabric I used is really quite lightweight, and hey – it’s not exactly like I’m training for a marathon or anything. It’s comfortable, warm and lightweight – but if I wanted to convert this from being sloppy-at-home-wear-only to something I could do the supermarket shop in, merino knit wouldn’t be my first choice. A terry-towling/sweatshirt fleece would be great for this, like what Zo made hers from. Additionally, the instructions call for the front pockets to be just top-stitched on – making it a little flimsy. I’d be tempted to at least understitch the topside first to anchor it down. Minor construction quibbles for what is an entirely practical top, really. * bar some standard adjustments, naturally. Love it! How did you put the turquioise bands on the legs? I love the effect. Great work! Thanks Mel, and also for the inspiration you gave me! The turquoise bands are just a rectangle folded over, then sewn into the seamline. I didn’t do it on the bias, but next time I will. The fabric has heaps of stretch but you can see in the last picture it struggles a bit at the peak of the curve. They look so fantastic! Love the leggings with the shiny/matt effect and the turquoise bands and the hoodie looks great too! Actually I need to put a pocket in these so I’e got somewhere top put a key. Shoving it in my bra is definitely a temporary solution. Thanks TJ! PS commenting isn’t working for this post when from Chrome. Just tried it on Firefox and it worked. Not sure what’s up but might be a php thing because I was getting php error messages in Chrome. Oh really??? Could that be a theme-related thing? I’ve been using Chrome this morning without a hitch. I’ll ask about it. I really like your leggings Melanie and the way you have reversed the fabric (whether intentionally or by mistake). Looks great and gives them a real designer look, especially with the turquoise trim. 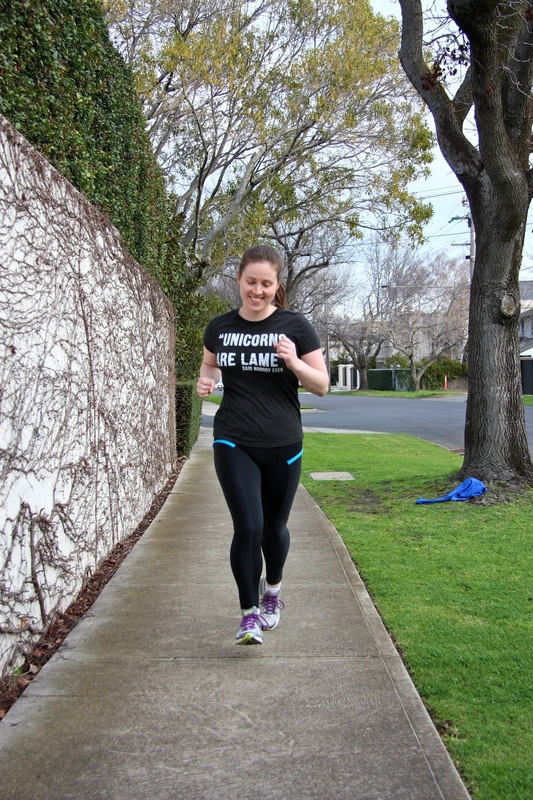 Watchout Lorna Jane!!!!! I have used the same method of adding elastic to stretch pants and skirts for years; learnt when I used Knitwit patterns in the 80s to clothe my 2 children in tracksuits with leary appliques! !The rule for the elastic measurement was measure the waist line and then subtract 8cm (which included seam allowance). 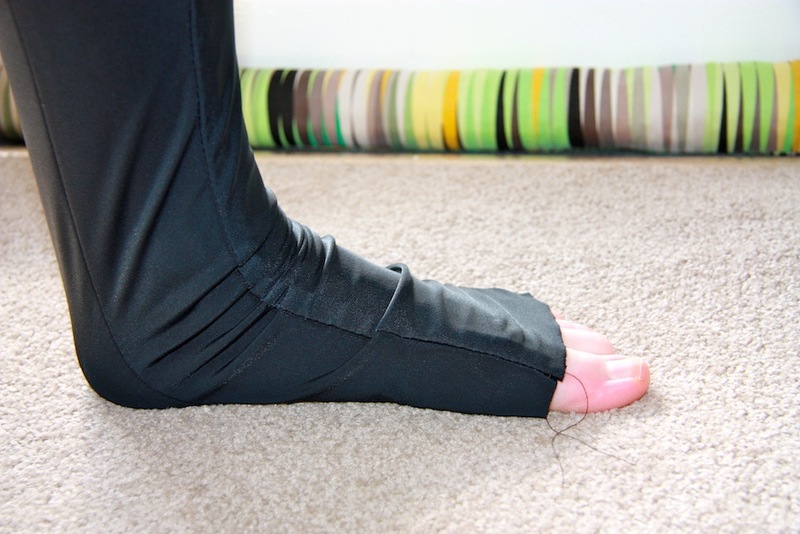 Unpicking elastic once sewn on the stretch way is to be avoided at all times. It takes longer than actually making the whole garment. Thanks Majorie! 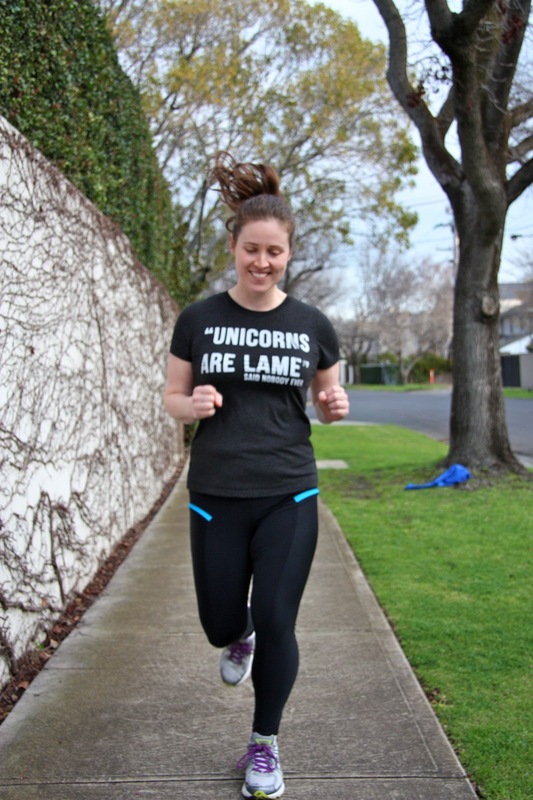 damn, straight watch out Lorna Jane! Being able to sew thing kind of clothing is really, really satisfying :) And thanks a million for that waistband rule. I’m not sure how it happened, but it certainly wasn’t fun trying to unpick it all!!! argh! Looks awesome! Love the teal on the leggings – so cute! love these! i’m always needing longer leggings and longer sleeved tops– sounds like these patterns would be perfect! good job on keeping up the exercise. i usually fade out over the winter months due to snow, ice, sub-freezing temps and late rising sun… makes it hard to get back into the habit come spring! never seen snow?!?! it’s glorious stuff… until you get too much! CUUUUUUUUUUTE! I love these! Well done! I like how these match your eyes :) Your neighborhood looks so pretty and exotic. I would never guess it’s winter time! Thanks Inna! hehe, yeah, I guess winter where I live is pretty tame in comparison to many places around the world. And I’m super lucky enough to be able to live in a really very pretty neighbourhood. It’s done me well for photos thus far! By the way, I am currently working on Papercut skirt and I confirm that their sizing is rathe unusual. According to the chart I am an S, but after some alterations my skirt turn out between an XS & XXS. These are really fantastic! 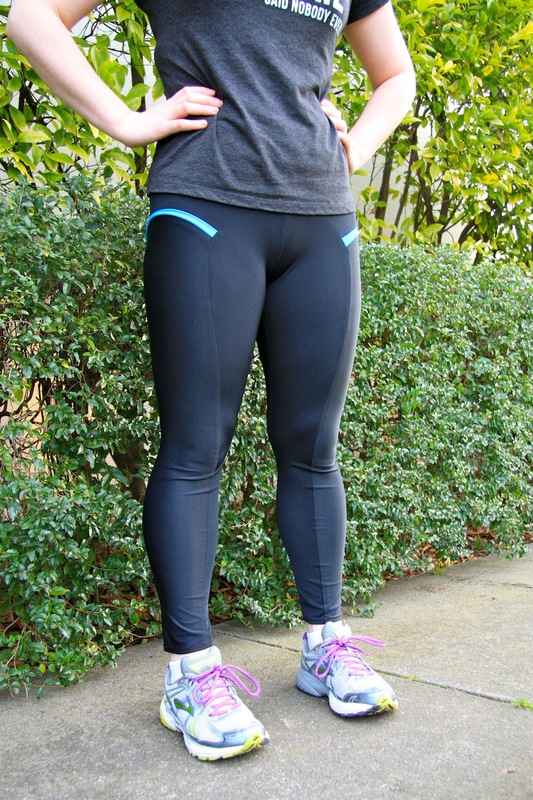 I sew pretty much all my running gear these days and have been eyeing these leggings pattern for sometime. I want to sew up a sweatshirt for colder months and I think I need to give this pattern a look now. 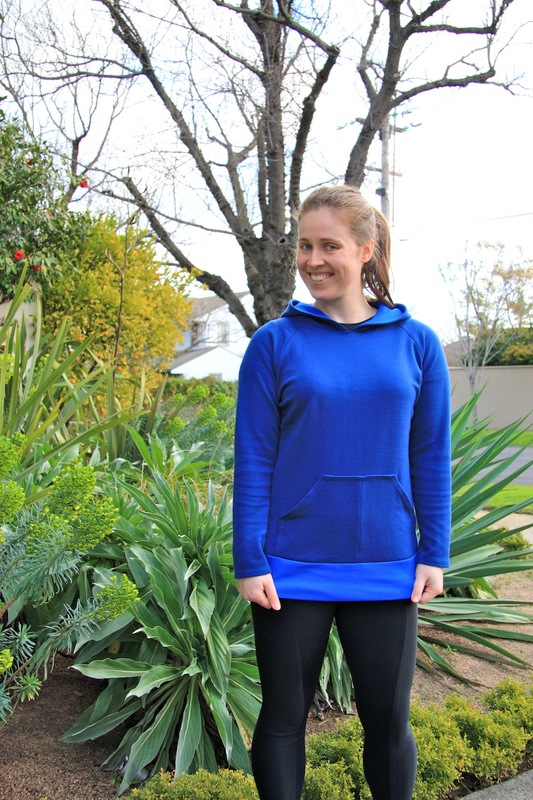 Thanks for the great review and detailed photos… there are just too few seamstresses blogging about activewear I do think! I finally ordered the pattern this weekend! I’m pretty excited. I even sewed up a pair of running tights tonight from a My Image magazine pattern, I’ll blog this week about those. I used your lovely (great!) mistake (sewing the wrong side of the fabric for some bits) to create a subtle contrast because my fabric is matte on one side and a dull shine on the other. Can I just say, the blue bands make you look like you’re running fast. And your hoodie is very cool too. What a brilliant way to motivate yourself to exercise!! We all know that wearing me-mades makes EVERYTHING more fun :) I’ve only heard good things about these leggings, and yours do look very professional! My thoughts exactly. And thank you! Hmm. Now I’m home, I will endeavour to read up on it/complain to my theme administrators. Does it say anything specific?? They look great. The turquoise band is a really nice feature and well placed too. Good on you for making clothes you feel good in that make you feel good when you exercise in them. Fabulous leggings! I love the blue inserts. I have often wondered if the Papercut designer has really long arms and legs or if she is just playing it safe, for tall people? Good on you for getting out there running again! Yeah… I’m wondering that now too. I read somewhere that’s she’s an industrial designer? Add that up with the way her instructions read – oddly – and I get the impression there’s not much of a sewing background there? I could be very wrong though. If Sarai designs colette patterns to fit her, maybe the chick behind Papercut is Amazonian! Your leggings look super well made, I love the turquoise detailing. Following your recent post, I picked upside Supplex fabric on Saturday, now to design the perfect tights. It is already too hot up here for leggings, so three quarters will be the go I think. Really think this is the perfect excuse for a coverstitch machine! Btw, I found Papercut sizing to be weird, my Coppelia is a S and I just made the t-shirt and that needed to be an XS. Weird. Oh nice! I’ve been eyeing off some supplex! I’ve heard the stretchy-ness of it is outta-this world. You’re certainly not the first person to share with me their sizing being wierd. Ah well! Thanks Liz! so cute, I love the back. and what great colors on you. Awesome leggings, hoodie and tee shirt! I’ve been an on again off again runner my whole life (& used to be a competitive long distance runner but I have now foresworn that) and it is entirely how good running makes me feel and how *accomplished* that keeps me at it. Which is funny because I accomplish very little when running! He’s a funny fellow, isn’t he!! hehe. 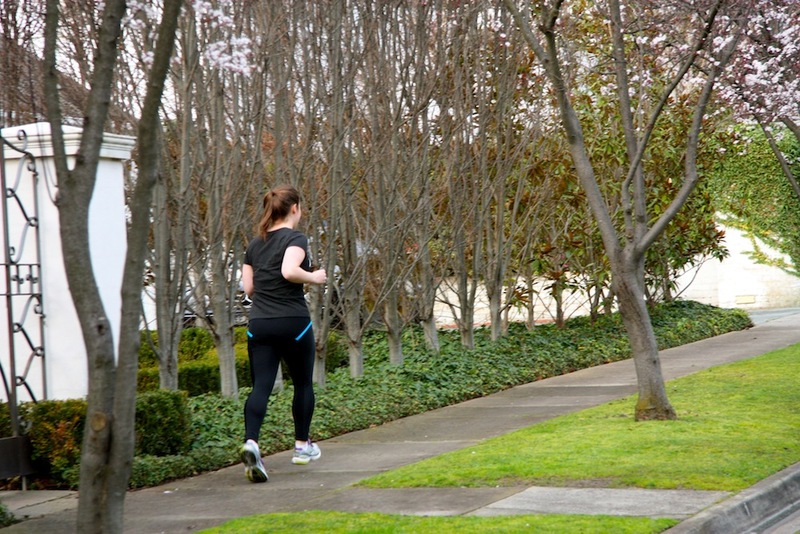 That’s pretty incredible Oanh, and I can totally believe it because you look like a runner. If runners had a ‘look’ I mean. I’m impressed! Can I say; you’re looking just fabulous in your running gear! and the leggings look so professional. I love the blue stripe! Thanks Carolyn :) They’re so much easier than their technical-ness would have us all believe! Whatttttt, running pants?!?!?! I want!!!! Yours are awesome and it makes me so happy to know that I can make some for myself. I’m totally going to copy you, k.
Want To Make Some Now. Am also in training…. You did such a fabulous job. looks great!! I usually find sewing workout gear totally intimidating for some reason, but this looks totally do-able!! Love the running pants… do you think they would make me run?? I suppose they could double as yoga pants, eh? hey, both the leggings and the hoodie look great on you and the post is truly explicative! thank you for sharing your creations! Yay for sewing work out gear! That’s something I really want to do. Plus, I get the feeling that it will boost my motivation to actually work out, haha. Awesome clothes! The leggings look fantastic and I love the color combination. Great job! New sweat clothes are the BEST motivator. Feeling fabulous while working out is a the best :) Thanks Anto! Hello! 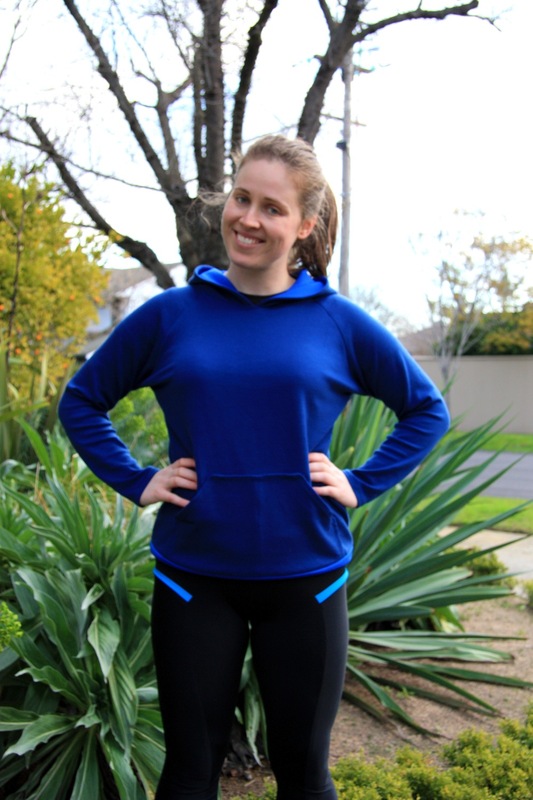 I like both the leggings and hoody, I really have to try those patterns if I want to make my own sport-gear this year. Yours is truly awesome! workout wear!? how cool! 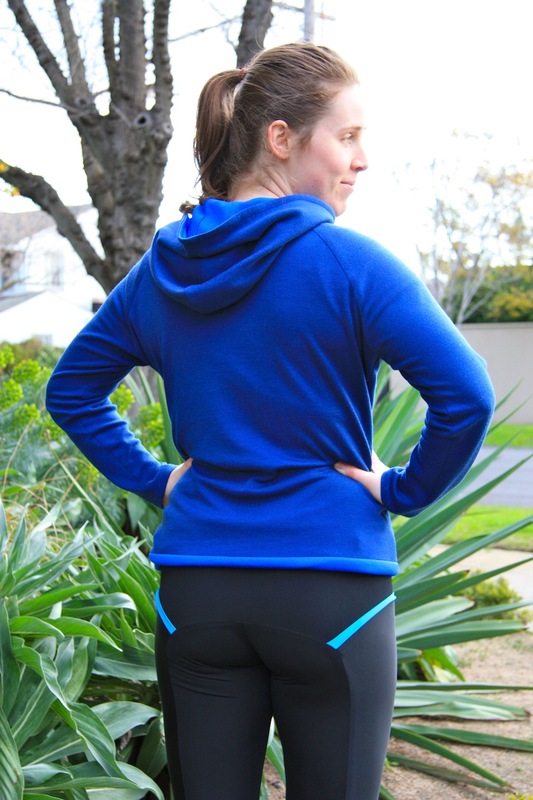 ok – so many things i love: the blue contrast, using the wrong side to make a different sheen effect, the fact that you freakin’ made running leggings!? and the pullover is awesome, too, with the two blue colors. the fabric looks totally comfy. yeah, i want both these patterns now! wow, making your own workout clothes. I am super impressed!